Nice good breakfast to start the day full of energy! Get comfortable, it’s breakfast time! Breakfast is included in the price of our B&B Suites. 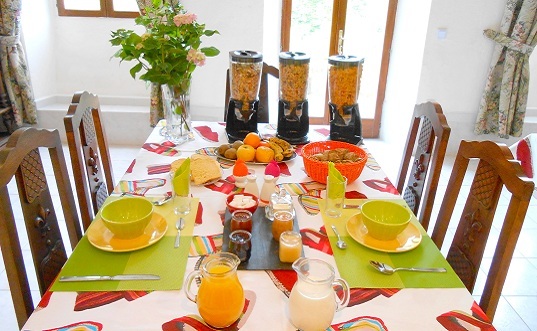 After breakfast we will more than happy to help you plan your day exploring the Pyrenees. 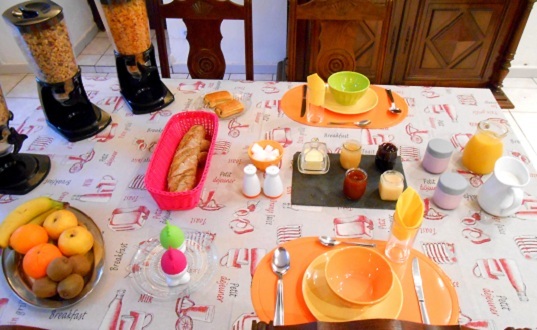 Breakfast is different from day to day to make it more interesting for our guests! 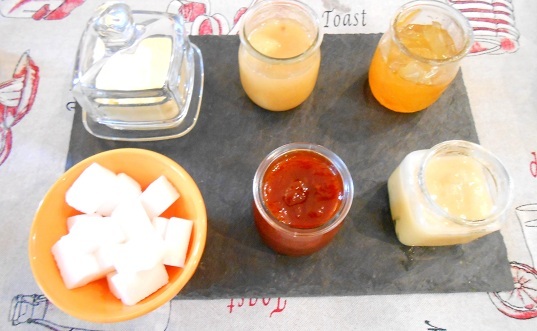 Organic jams: strawberry, abricot, peach, banana and also potatoe..
Homemade yogurts: with blueberries, honey, chestnuts..
We will also serve you a hot beverage: coffee, black or green tea, hot chocolate. We mainly use homemade, organic and/or local products. Breakfast is served every day between 7:30 and 10AM.